We are successful because of our interest in building long term relationships with our clients. We put your interests first throughout, so you can come back to us for sales and purchases in the future with the best confidence. We are specialized in brokerage of used Azimut & Benetti yachts, Ferretti Yachts, Cranchi Yachts, Sea Ray and Regal yachts .....also we specialize in Sea Force, Hatteras, Bertram and Viking who prefer fishing yachts. •	Benetti Yachts Worlwide Agent, Azimut-Benetti, Regal Boats and Sea Force Yachts for Venezuela and South America. Oceanika Yachts, Inc. has solid international relationships throughout the world which enable us to provide knowledge unparalleled in the industry. We provide confidential, secure and trust throughout. 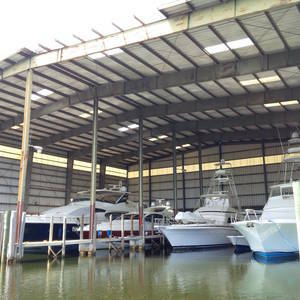 Oceanika Yachts Inc has few offices and service centers with our private service & brokerage marina located in Miami River, Florida (former Bertram Yachts Factory). Also Sales Office in Caracas, Venezuela with a marina center center in Higuerote, Venezuela to service our customer in the complete Caribbean. Special dockage rates in our Miami River marina for our Central Listings yachts....Reserve your Hurricane Protected dockage for summer season. We look forward to hearing from you and we will be happy to discuss any of your requirements. OWNER NEEDS TO SELL IT !!! ..... EXTRA $100,000 PRICE DISCOUNT NOW !!!! ......BEST OPPORTUNITY TO BUY AN AZIMUT 68 IN THE MARKET !!!! This is a nice 68 Azimut Evolution kept inside a covered slip in fresh water at Oceanika Yachts Marina in Miami River.